JAMESTOWN — Two of the nation’s most popular stand-up comedians will headline this year’s Lucille Ball Comedy Festival. John Mulaney and Sebastian Maniscalco are scheduled to perform at Northwest Arena this summer, officials from the National Comedy Center announced today. Mulaney will perform Friday, Aug. 9, at the Jamestown arena while Maniscalco will take the stage Saturday, Aug. 10. Journey Gunderson, National Comedy Center executive director, noted that the two are some of the most “in-demand” comedians in the country at the moment. She said having them perform at the Lucille Ball Comedy Festival should be indicative of how the event has grown over the years. In a statement announcing the headlining acts, the comedy center said Maniscalco — also a actor and best-selling author — broke records last month with four sold-out shows at Madison Square Garden, selling the most tickets in a weekend for any comedy engagement in the history of the Garden. In 2018, Maniscalco broke similar comedy box-office records for Radio City Music Hall. The Illinois-born Maniscalco can currently be seen with Viggo Mortensen in the Oscar-nominated “Green Book,” winner of three Golden Globes including Best Motion Picture — Musical or Comedy. 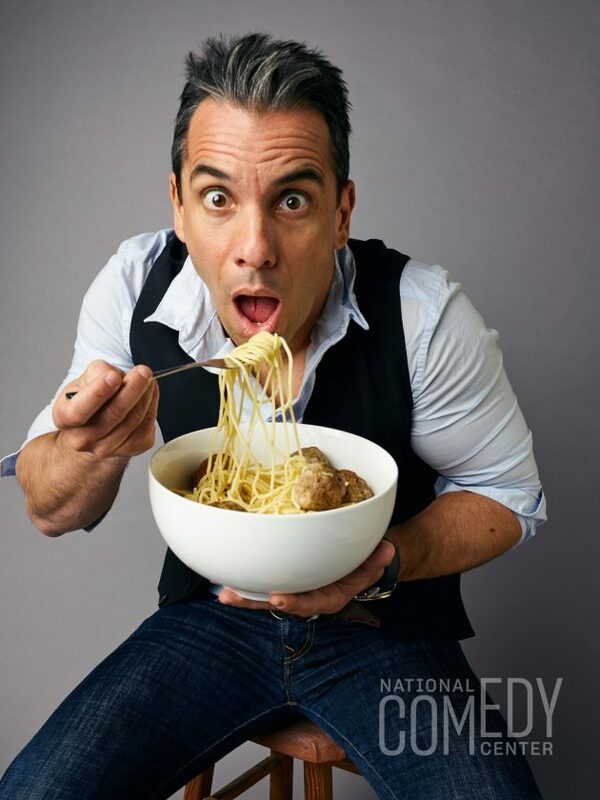 Last November, Maniscalco won Billboard’s inaugural Comedian of the Year award. He will be starring in Martin Scorsese’s new film “The Irishman” this year. Meanwhile, Mulaney began writing for “Saturday Night Live” in 2008, where he also appeared as a “Weekend Update” correspondent and co-created memorable characters such as “Stefon” with Bill Hader. He has spent the past year touring the United States with his most recent show, “Kid Gorgeous,” which was released as a Netflix original special last year and won the Emmy Award for Outstanding Writing in a Variety Special. In 2016, Mulaney starred in the Broadway hit “Oh, Hello” on Broadway alongside Nick Kroll. He can also be heard in the 2018 film “Spider-Man: Into the Spider-Verse,” which recently won the Golden Globe for best Animated Feature Film and has just been nominated for an Academy Award for Best Animated Feature Film. “This is a great opportunity to experience the best of live comedy by night, after experiencing the story of comedy — across all eras and genres — by day, with a trip to the National Comedy Center and the Festival,” Gunderson said. Though known for their on-stage prowess, Gunderson pointed out that Maniscalco and Mulaney have both also received accolades for their work in films. “Getting these two is an indication that this summer is going to be fantastic,” she said. Additional festival events — including more than five comedy showcases, Late Night Comedy events, National Comedy Center Dialogues and Lucy legacy events — will also be announced at a later date. Gunderson said more Late Night Comedy events could be expected due to increased demand and quick sellouts in the past. The entire Lucille Ball Comedy Festival will run from Aug. 7-11. Tickets for the headlining performances will go on pre-sale at comedycenter.org for National Comedy Center members on Wednesday, Feb. 20, at noon. Tickets will be made available for sale to the public on Friday, Feb. 22, at noon. Last year’s Lucille Ball Comedy Festival featured Amy Schumer, Lily Tomlin and a panel of original “Saturday Night Live” performers and writers including Dan Aykroyd, Laraine Newman and Alan Zweibel. In its statement, officials said the National Comedy Center will once again partner with Chautauqua Institution for a comedy-themed week during the institution’s summer season prior to the comedy festival. “Events and speakers will explore how comedy changes us and, in turn, society, and the potential of comedy to change minds and influence decision-making,” officials said. Programming details will be released within the coming months.